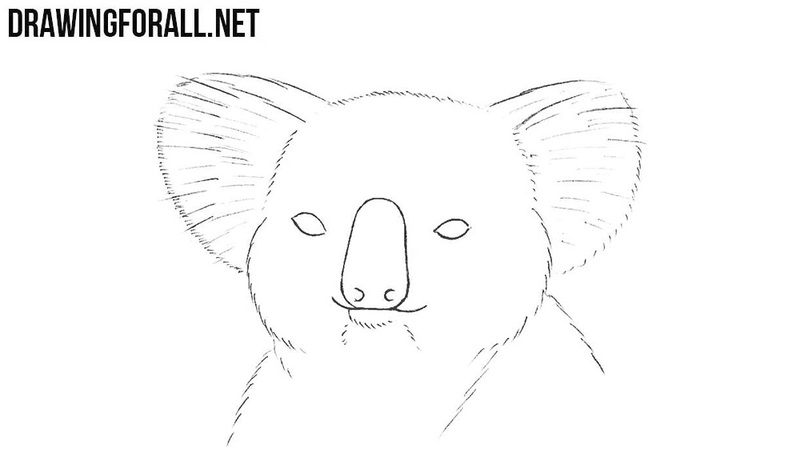 Today we will show you how to draw a head of a koala. 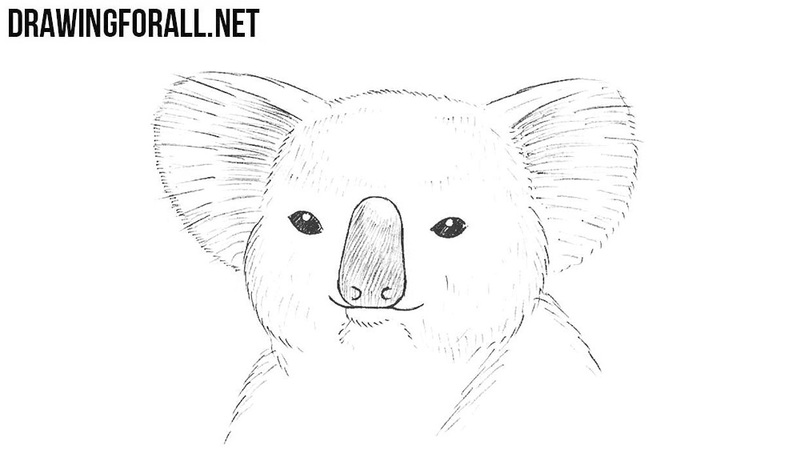 The Koala is a marsupial animal from the motherland of the marsupials – Australia. 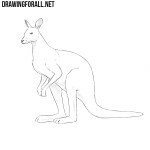 Draw a ball, which later becomes the head of the koala. 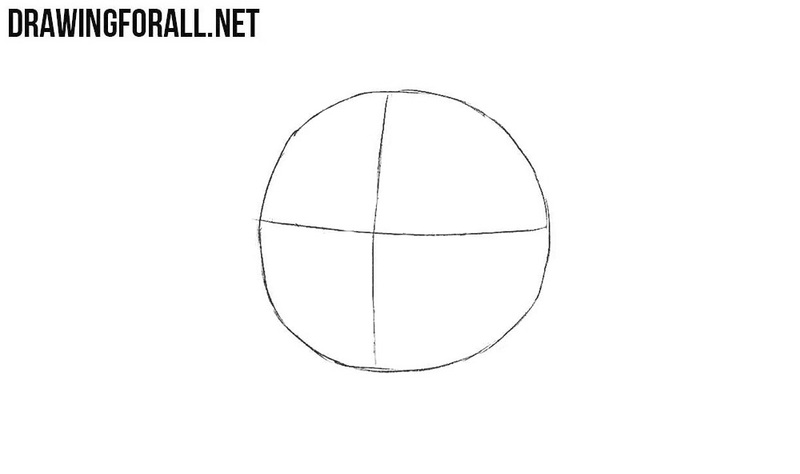 Draw two lines that intersect in the center of the face. On the horizontal line sketch out mark the eyes. Next, outline a large oval nose on a vertical line. Sketch out ears and mouth. A simple enough step where we finish the lines of the ears and draw the shoulders of the koala. 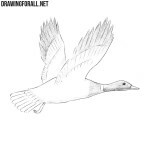 Remove unnecessary guidelines from the face with the help of clear and dark lines draw out all the details of the face. 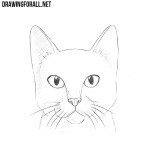 Now with the help of short lines create the “fur” contours of the head. 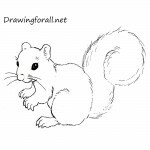 Using long strokes draw hair on the ears. Paint the eyes in black and leave a glare. Darken the nose. 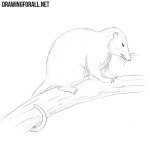 Add a few more lines to make the texture of the fur more real and add some shadows. 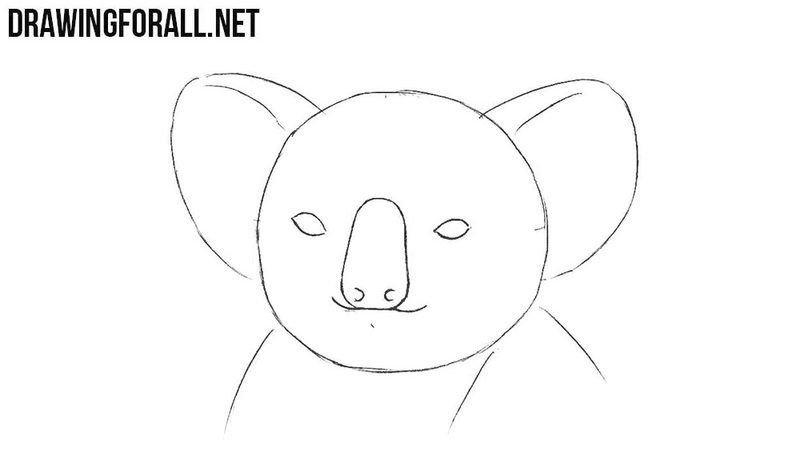 A lesson on how to draw a head of a koala is ready. At the end of the step, by tradition, a couple of useful tips. The shorter the lines of hair the more “soft” the fur will look like. Hair on the ears should be longer. 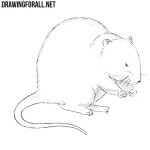 Also note that the nose should look as if it is separate.